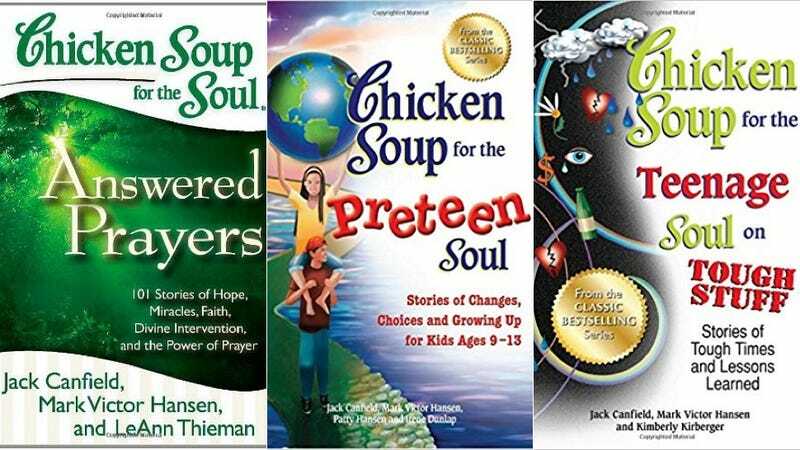 Once immensely popular and still a staple of big brick-and-mortar bookstores, the name “Chicken Soup for the Soul” now inevitably conjures Y2K vibes. But the company is still at it, they’re backed by Ashton Kutcher, and their entertainment unit is holding an initial public offering. Well, they’re attempting to crowdfund one. Chicken Soup for the Soul Entertainment produces a wide range of video content including reality-TV shows such as Project Dad, which follows the lives of three celebrity dads, and The Sip, a series of inspirational short videos. “Anything that has something to do with human emotion and the human spirit is relevant content,” Rouhana told Business Insider. Business Insider also explained that this isn’t a traditional IPO. It’s a “Regulation A+” offering, possible due to the passage of the Jobs Act, meant “to open startup investing to Main Street. And as part of the rules, there are fewer requirements and regulations for companies than with a traditional IPO.” It’s closer to crowdfunding and more like a Kickstarter than the Facebook IPO, though the plan is ultimately to list on NASDAQ. The company’s Twitter account is currently urging fans to invest. At any rate, that’s what Chicken Soup for the Soul has been up to lately. Update 7/18/17: Originally, this piece referred to Chicken Soup for the Soul generally, but it’s actually specifically the Chicken Soup for the Soul Entertainment, the company’s entertainment unit and a separate part of the business from publishing, that is going public. The headline and post have been updated to reflect that specificity and we regret the error.